Folk singer who is known for her career in the Scottish folk music industry. In 2006, she released her debut solo album, A Day Like Today, in Scotland. She began playing the piano at age 7. She went on to attend the Royal Scottish Academy of Music and Drama, graduating with an honors degree in Scottish music. 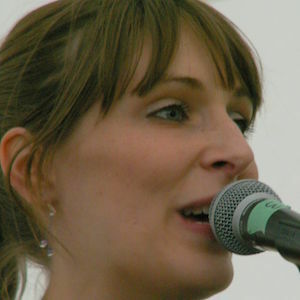 In 2008, she won the Scots Traditional Music Award for Scottish Singer of the Year. In 2014, she was featured on the album Sweet Visitor by Nancy Kerr. She was born and raised in Thornill, Dumfries and Galloway, Scotland. She married fellow musician Jamie McClennan. She appeared on the BBC Radio 2009 compilation album Transatlantic Sessions 4, which was co-produced by Jerry Douglas.